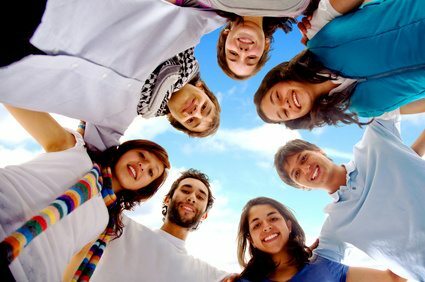 No matter what type of traveller you are, you will find what you need on gotoaustralia.com.au. This really will become your one stop shop for everything to do with travel to Australia with kids so make sure you add us to your favourites and soon you will be enjoying your next trip to Australia with better advice than ever before! 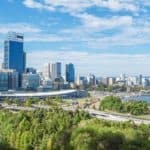 Gotoaustralia.com.au is an absolutely free guide to parents of kids of various age groups who are either travelling in Australia or living in the country. While many organizations provide information or counselling for a fee, we don’t charge even if parents use our site to post travelogue and create photo albums. Parents will be able to find out how to experience various entertainments in Australia and ward-off potential dangers that lurk in cities and countryside. There are counsellors with suitable advice and information on various problems that parents can seek answers without paying a fee for such consultations. 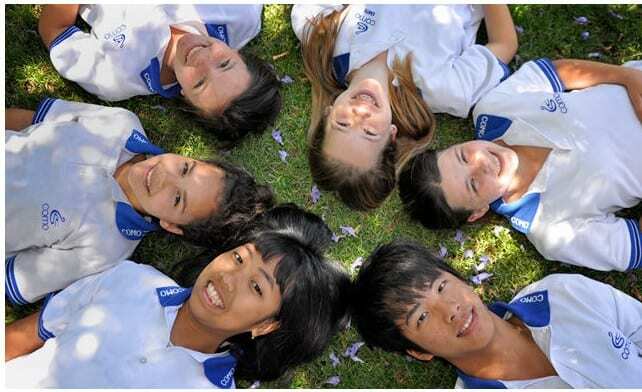 In a bid to promote English learning among school-going youngsters, Go to Australia Agency has offered an English study tour during the summer months in Australia for kids aged 10 to 18 years. The curriculum includes 15 hours of English learning per week. Students would be provided with home-stay accommodation during the tour. There would be outdoor activities, such as excursions and camping sessions. If you are interested to take up this opportunity for your child, email us to book a course. 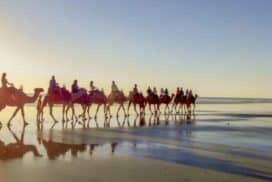 Whenever you decide to travel to Australia you will always be wanting to know what are the best things to see and where the best places are to visit as Australia is an ever changing land that requires great exploration. 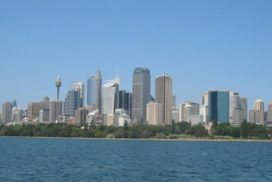 A great idea is to bring your kids to Australia but you will like to find out where the best places are to take your kids, how much certain areas cost and some potential areas that you should avoid. 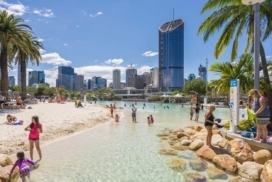 You would find that generally the best place to find such information out is to speak to people who have actually experienced Australia for themselves with their own children, and here we aim to bring you these people to help you out before you travel to Australia! This will give you an opportunity to discover some amazing tips about your journey to the great southern land. You can even come back online to this site after your own experience and write about what worked for you and what didn't work for you as you too contribute in to making this site the one stop destination for everyone traveling to Australia with kids. The best places to take your kids in Australia. Our contributors will keep you up to date on which places you should never hesitate in bringing your children to, as well as some which you should probably avoid. It will also give you some great stories to read as to how children react in certain areas of the country and what you can really expect by bringing your kids to Australia. Tips on how you can save yourself money when coming to Australia. 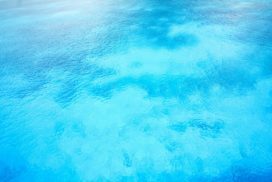 It is sometimes hard to save money on a holiday but you will find a wide variety of different contributors on this website, from the very wealthy to the very budget conscious. Whichever of these fits your lifestyle you will be able to find some great advice for you and your family before you venture to Australia. Amazing places to eat and experience Australian culture. You can read about a wide variety of restaurants in which our contributors have enjoyed, and some of which they wouldn't recommend at all. This will ensure your food experience in Australia can meet your requirements. The chance for you to contribute your own personal experiences in Australia. 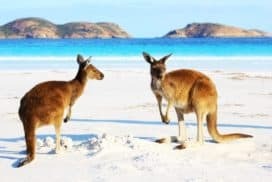 You may find that your experiences in Australia are nothing at all like the ones you have read, so that gives you the perfect opportunity to inform the other readers of this site about exactly what you experience so that others can read about it before they travel to Australia. We also have a writer’s blog section where enthusiastic parents can script travel stories and interact with other parents as well. Our aim is to provide detailed information on entertainment, sightseeing spots, cultural fests, potential dangers, diseases and epidemics, etc to parents so that they can enjoy their stay with their kids in Australia in peace. We therefore, don’t charge a fee for our services and don’t want to make our site a money-making business for us. We hope to make this site a forum to exchange stories, ideas, and news on Australia for kids of all ages only. 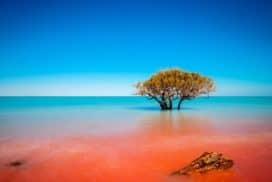 Travel to Australia with kids may be likened to a wonderland and a smorgasbord of natural delights that are unique to this island continent. Koalas for instance are now legendary, the lavished icons are the darlings of tv shows and the like the world over. While the majority of the world in the northern hemisphere is wrapped in winter, Down-Under it is summer and thus an ideal time to break from the gray glumness of daily grind. Traveling and seeing Australia while ones family is yet young establishes a string of time-notched memories that will never see replication again in a family fabric frozen in video, photos, mementos and experience. Australia contains experiences that are thrill-packed and extremely varied, all in one country. 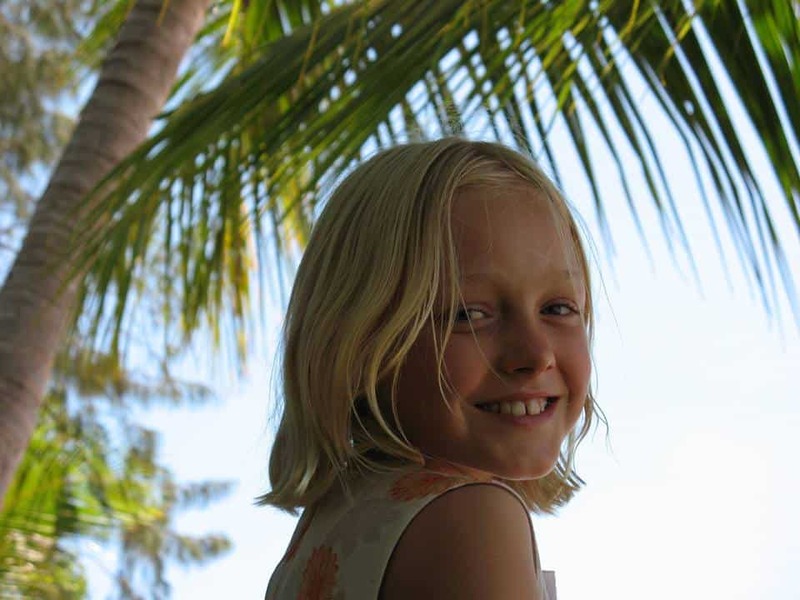 Let the kids have free reign of their senses in: helicopter rides, hot air balloons, skiing, learn snorkeling while at the 'reef' or surf any of the outstanding beaches. 'Island exploring' is a terrific naturalist and outdoors delight that the kids will love: Kangaroo, Fraser, Hamilton, Phillip, Rothnest and Penguin Islands are all easily accessed for family excursions and the flora and wildlife abound for all to enjoy. 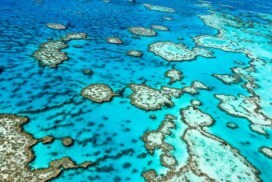 Touring the many spectacular natural sites across Australia such as: Great Barrier Reef, Tasmanian Wilderness, Shark Bay- Western Australia, Wet Tropics of Queensland, Macquarie Island, the Great Blue Mountains where the kids will love the gondola ride to one of the mountain tops. Staying at or touring one of the farms on a farm tour: a farmstay will enable your children to interact and enjoy firsthand all the activities such as milking the cows, riding a tractor, feeding out the hay, collecting eggs and marveling at the sheepdogs in their daily work. Great Rail trips: the outstanding scenic attractions across Australia's vast and beautiful landscape is an excursion adults and kids alike will enjoy. The many selections offered are: the Tilt Train, Spirit of the Outback, Sunlander, Gulflander, Savannahlander, Westlander, Ghan and the Overland, Indian Pacific and the Kuranda Scenic Railway. Infants under three years travel free if sharing a seat or sleeping berth. Marine cruises: dolphins, whales, penguins and all the attendant sea birds can be enjoyed in numerous excursion tours. Most of the catamarans are suitable for children of all ages – however you are well advised to bring suitable hats, sunglasses, warm clothing and sun lotion. Surprising factory tours will entice the kids at Brisbane and Tasmania. They will delight in seeing the making of cheese, honey, ginger and jam-- and the delectable chance to sample the products won't find any complaints from the kids either. An exciting way to earn money while traveling in Australia with kids is simply as an on-line writer. Travel writer jobs offer an extremely flexible option in that parents traveling can still combine their adventures and earn income at the same time. The convenience is therefore unmatched. A laptop, Internet connection and an ability to describe the families thrills at various Australian locales is all that is needed. 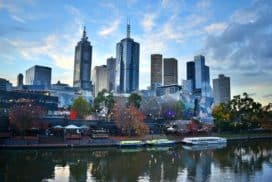 It is one thing for a travel agency or someone connected with tourist theme parks to write about Australia-- it is quite another for independent writers whom are parents taking their kids on a vacation. These have a special flavour and resonance that can touch the typical traveling family. One of the best experiences of you and your families lives can be traveling, particularly if it is overseas. There are some great adventures that you and your children can have exploring and having remarkable fun in amazing places such as Australia. The biggest obstacle can be the financial cost of the trip, and this can sometimes stand in the way of a lot of fun and memories for your children that will certainly last a lifetime. When you are trying to do this on a budget then it can be a challenge and there are some tricks that you can use, from tickets to bunk beds, to help ease this part of the burden if you are creative and careful. Join the Wwoof Australia and get free accommodation. To begin with one of the most expensive parts of travel is the actual cost of airline and bus tickets. If you book in advance, and use a variety of online services to help assist you there are ways to really reduce on the initial upfront cost. This is certainly a trip, particularly with children, that you donít want to just take on a whim. You need to be planned and prepared. Secondly lodging is a very costly portion of any trip, but if you add in going very far away such as to Australia, than it can get out of hand quickly. If you check online reviews and ask around you can reserve rooms or cheaper living areas such as hostels and family friendly hotel and inns which cater to children. The benefit to this is that often times these areas include meals with your stay. Many of these places will use bunk beds to save space, but the result will be to pass those savings on to you. It used to often be that hostels were large rooms that had sleeping areas for multiple people, but more and more often there are now businesses that are offering space that includes a kitchen and accommodations for as many as two to four people. This is a potential money saver, but be cautious as to which one you choose and the people you are around, particularly with family. If you book it right a tour can be a great way to have an entire experience that is all paid for under one price. This is a great way to not get surprised suddenly by something you need to pay for. Then, if you don't mind spending a little extra money, there are rentals that you can get for temporary vacation homes and villas. These can sometimes be expensive, but having the security to have one central place to go to and from is a wonderful relief. For the most part there are some great packages out there for vacations, and if you can utilize things such as bunk beds and planning as far in advance as possible you will have the best luck. This can be an experience that could be life changing. If nothing else you will be adding serious memories and you want it to be something as positive as possible. 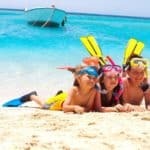 Top 10 Australian Destinations For Kids! Traveling to Australia with kids? Come to this site frequently to check back and read other people's experiences of having their kids with them in Australia! Sign up to keep up to date with the latest stories! Read here about Kids Safety in Australia, how to prevent accidents and how to care for Kids in Australia.